The second consecutive pair from the Virgin Money series. This is New Balance’s second consecutive year working with the London Marathon on a pair of 1500s. This time around, the collaborative sneakers’ upper is made from black suede, white mesh and bright green leather with contrasting embroidery throughout. The pair sits atop a black ENCAP sole unit which features motifs, phrases and graphics inspired by London’s diverse multiculturalism — seeing prints such as the UK flag, Kanji calligraphy and London landmarks. In true Made in England fashion, the limited edition New Balance’s are finished with white tongue embroidery and immaculate detailing. The green hue featured on the leather panelling is carried throughout the shoe, detailing the “N” logo and adorning the “LDN” rear-quarter embroidery. Crafted in New Balance’s Flimby factory, the shoes combine a modern breathable mesh construction and a lightweight FantomFit cage with the heritage of its Lake District production and retro design. 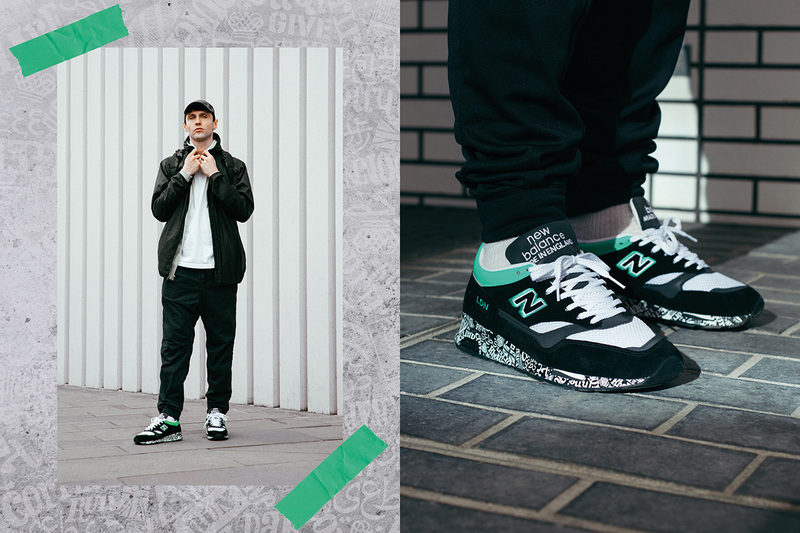 Spotlighted in a lookbook featuring NB running apparel, the pair is set to release exclusively in London at retailers such as Footpatrol. No word has been said yet on when the New Balance M1500 “Virgin Money London Marathon” will release, so stay tuned to HYPEBEAST for updates as they unfold. In other news, Aimé Leon Dore and New Balance will also release a capsule clothing collection alongside its aforementioned 997 collaboration. Lightweight jackets and biking-inspired shorts show up this time round. Taking cues from cutting edge composer John Cage. Featuring athletic-inspired apparel and sneakers.